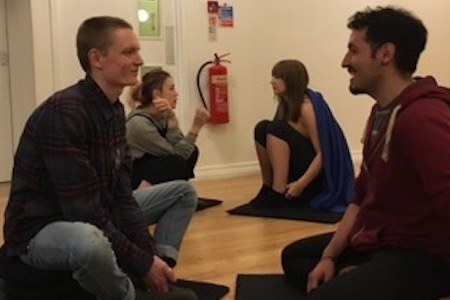 A friendly informal group for people in their late teens, twenties and thirties, led by young people for young people. We are supporting one another to deepen our experience of the Dharma, through friendship, events and study. No charge. No need to book, just turn up a few minutes before we start. This month’s date has been changed from 19th April to allow Sangha members to attend our Sangha Retreat at Adhisthana.